Triumphant is the word coming to mind, thinking about this show. 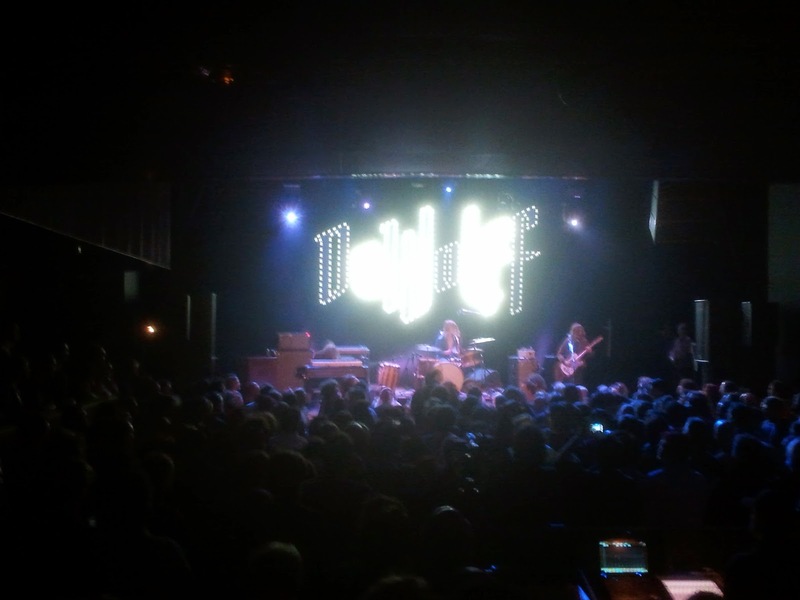 Two years ago, after one of the last shows I saw in LVC, I wrote a post under the title "Sonic storms and soft tranquility" (http://wonomagazine.blogspot.nl/2013/01/sonic-storms-and-soft-tranquility.html). This time around all is different. Leaving aside the superb venue -again the sound was so perfect- DeWolff played so much better, more subtle and mature, than the show following 'DeWolff IV'. There's almost no comparison to the show following 'Grand Southern Electric'. Like the songs have grown the extra mile, so has the playing. What defines the growth of DeWolff? The band wrote more songs with a head and tail. If 'DeWolff IV' was a step forward, 'Grand Southern Electric' was a giant one. 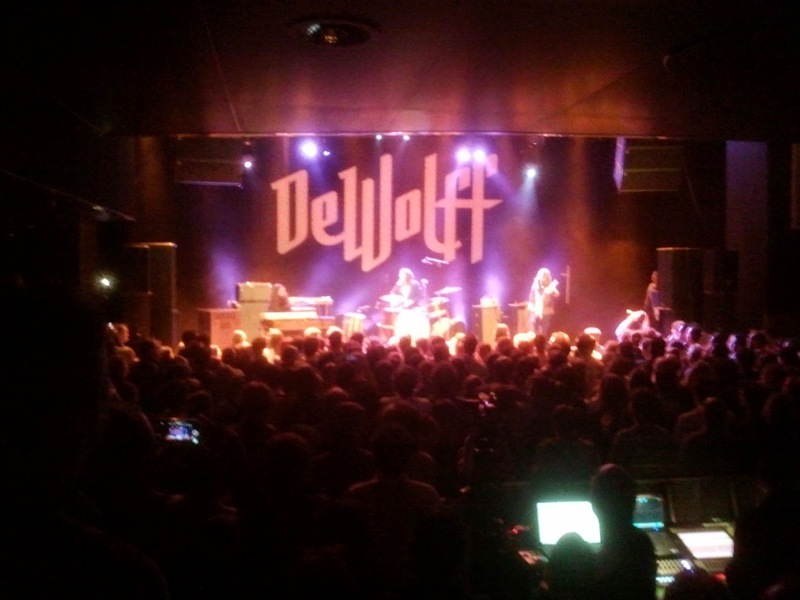 At the same time DeWolff is still able to jam so they have gotten to that place where they have the best of both worlds. I can't remember in which song it was, but one chord made the change to a 'Take five' and 'Light my fire' jazzy rhythm and solo intermezzo, alternated between guitar and organ, an oh so dear, warm sounding Hammond organ. Just two chords over which endless solos came forward. With a drummer happy to keep things together, literally in the middle. The second change/growth is in the use of dynamics, but this may be the sound system in Gebr. de Nobel. still, I can't help thinking that the band dares to use dynamics more, making its set so much more interesting to listen to. Thirdly I'm under the impression that the organ is more on one level with the guitar than two years ago, also making the show more diverse in sound and mood. Perhaps that is because of circa thirty minutes jam at the end of the LVC show. 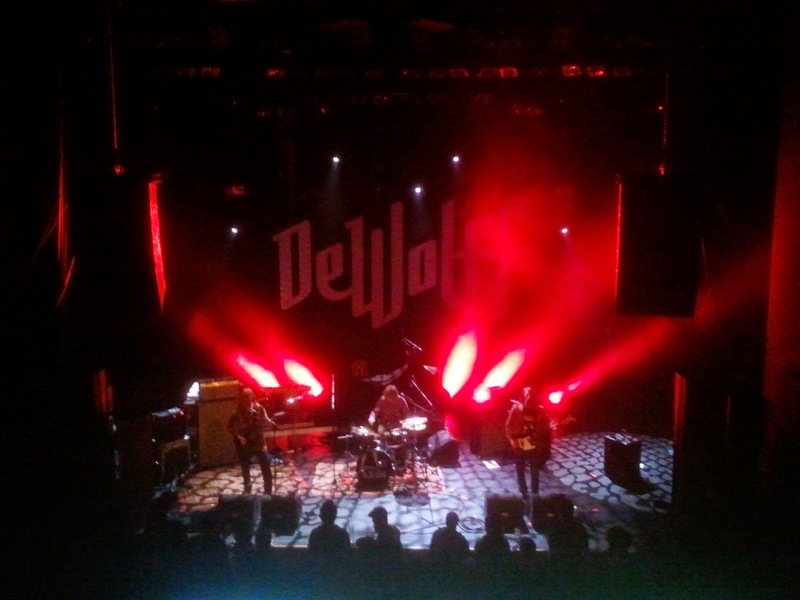 DeWolff is complete, despite (not) missing a bassist. The sound is full and warm, so there is nothing amiss. Fourthly the band pulls off some great blues. They have its own 'Little wing'. In other words they are not afraid of winding things down totally. It seems that working with an american producer did the band a lot of good. The new songs are just this little more focused. The Black Crowes like, but most DeWolff songs are better than most songs this famous rock jam band ever wrote. No matter the name, my impression is DeWolff is better on record. Live I can't compare. 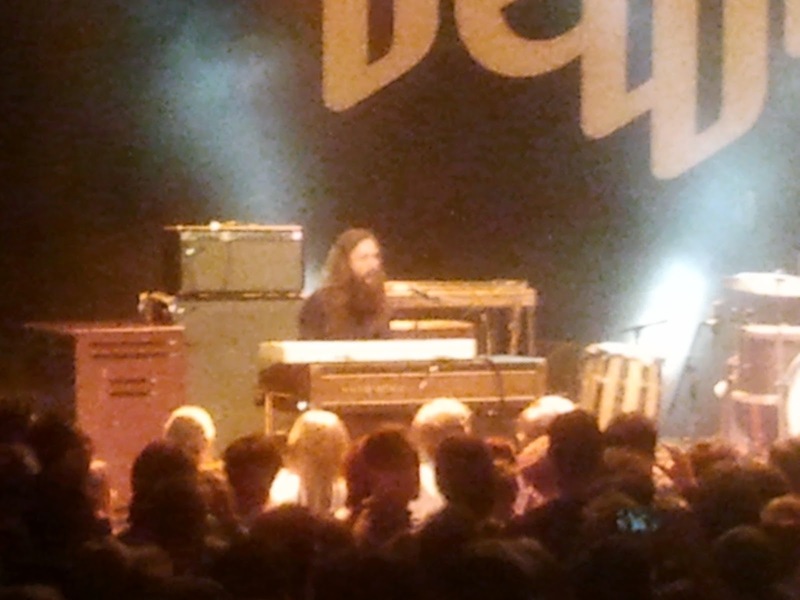 The hair (and beard of Robin Piso) definitely matches Chris Robinson's as well. Overhearing the age of the band members, 20, 23 and 24 I can't help thinking about what these, basically, kids have achieved already and where they can still go. If anything, the future is theirs. The band has such potential and has grown to a great height already. The showmanship is in place. Next stop Brussels, Berlin, London, Paris, ....? The evening started with The Legs. 1970s rock, long hair. The sort of music that grew out of trios like Blue Cheer and Cream and were named Mountain or West-Bruce-Laing. Just a little more rock and a little less psychedelia, but as a starter a perfect band to warm up the audience for what was to come. The Legs played several fiery songs with large chunks of instrumental passages in which the lead guitarist was able to show his chops. In a successful way I may add. 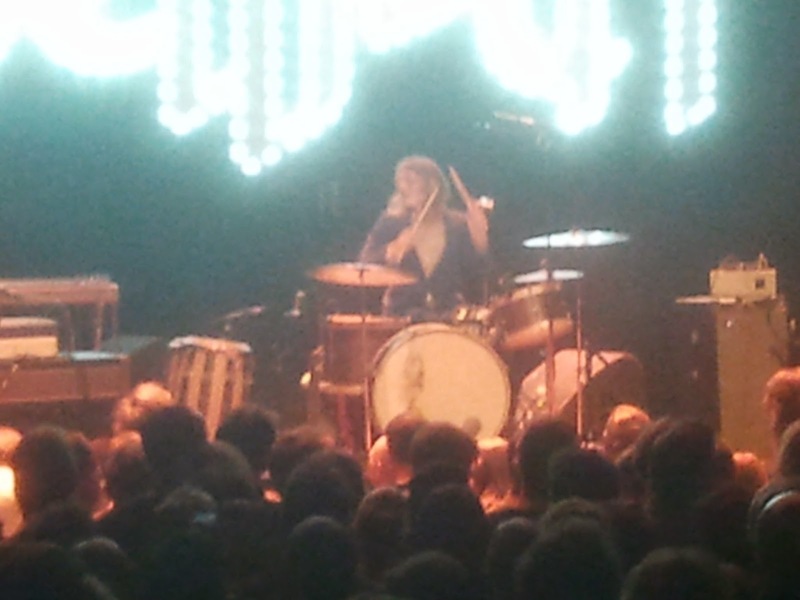 This guy can play and has to, because otherwise the whole top of the band comes off. I can't say that I truly liked the singing. It is a fair question whether the voice matches the music and sometimes seems an afterthought in the greater scheme of things The Legs. Time will tell as The Legs is about to release its first EP in early spring. It may well be that WoNo Magazine reports on it in the near future.